We have had the honour and privilege of playing at a few NITs across the country, but our gig at Tathva '18 at NIT Calicutwill be something which we'll remember for a long, long time. Early showers before the show couldn't dampen anyone's spirits and we saw an entire amphitheater bouncing to our tunes, a sight we simply can't forget. An amazing audience, superb hospitality, and overall fantastic vibes of happiness marked the evening for us and we really look forward to playing there again. All gigs are born equal. But some gigs are born more equal than others. Heading to Kochi this time was a unique experience for us. 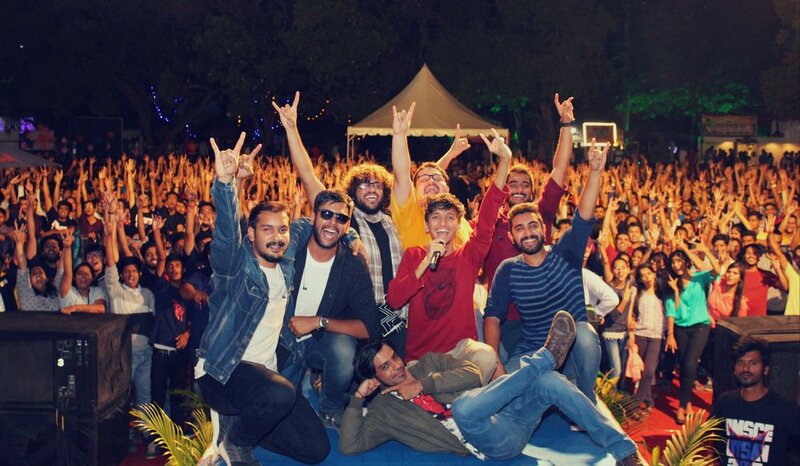 Not only were we playing at a beautiful venue, with a lineup of six immensely talented bands, at one of the country's more prestigious festivals, but we were returning to Kerala just about a month after the ravaging floods had ceased. No one knew what to expect. Kerala, however, has been characteristically resilient this time around. Roads were immaculate, surroundings were clean, we were surrounded by colours, and it looked like nothing had ever happened! Upon reaching the JTPac auditorium, we got to watch the rest of the amazing lineup check sound. Names the likes of Rockazaurus, Chaos, Maiden Voyage, The Derelicts, and, of course, the mighty Thermal and a Quarter, promised a memorable night, to say the least. Technical issues (#justpineapplethings) had led to a change in our slot. We were to follow TAAQ, who had put up an exceptionally sublime performance. Bruce fronted the band with energy and aplomb, Leslie held down the groove and the low end, and Rajeev, who held the band's dynamics in the palm of his hand, played beautifully and musically. We were stunned at their demonstration, almost a lecture in performance, musicality and stage presence. Following TAAQ was no easy task. But our set soon got the audience grooving and jumping to our songs, and we were pleasantly surprised to meet a bunch of people who'd come to watch us at the Mojo Rising festival as well! The day ended with all of us feeling happy-tired, and enriched from the amazing experience. Every show with Pineapple Express is super exciting and you never know what to expect. But this show turned out to be one of the most memorable ones for KC personally. Travelling to Nellore for MGB Mall’s 2nd anniversary celebrations was an adventure by itself, considering the car broke down because of a flat tire mid way. The band reached Nellore tired and roughed up by the long journey. Fast forward to soundcheck and KC had to really squeeze his soul to get a note out of his throat. Once the soundcheck was done and the boys were back at the hotel room, the band had to discuss the course of action. As Underground Authority started off the evening, Yogi and Jimmy distributed KC's vocal parts between themselves and got on with the show. KC's disappointment at missing the show quickly turned into a unique experience as he got to watch the band perform from an audience perspective. 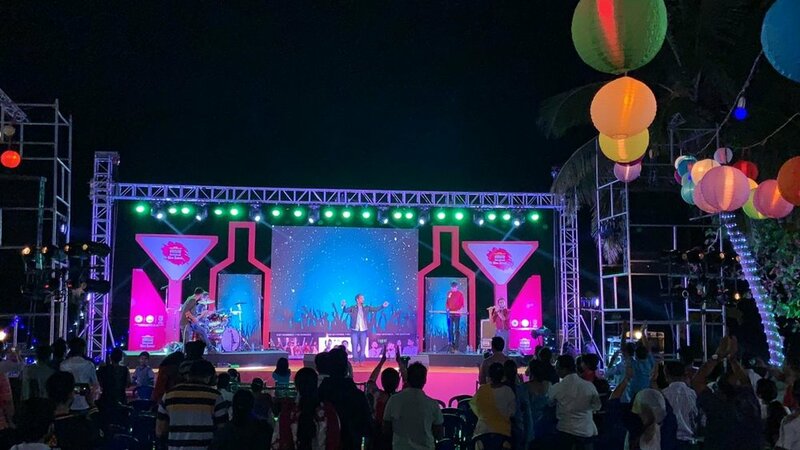 Despite a few interruptions by power cuts and rain, it all fell into place when it needed to and we made sure that the audience had a great time. The band looks back at the whole experience with a laugh and sigh of relief after handling so many unforeseen circumstances. BMS College of Engineering is like a second home to us. It’s here that we got to hone our skills, first as The E-swara Project, and later as Pineapple Express. We have also had the privilege of writing three of the theme songs for their annual cultural festival, ‘Utsav’, between 2013 and 2015 (including the very popular ‘Blast from the Past’, the Utsav 2014 theme song). Naturally, returning to our home ground was an exciting prospect, and we prepared our signature audio-visual experience to serve up to the folks there, headlining the event for the first time! We were especially stoked to be playing alongside stellar supporting acts, the likes of Space is All We Have and D’s Kitchen. Utsav is not merely an event, but is an amalgamation of emotions which drives everyone to put in all they can to make it one of the best evenings the city has to offer its music fans. The morning of the event saw all three bands with rough waters ahead of them. 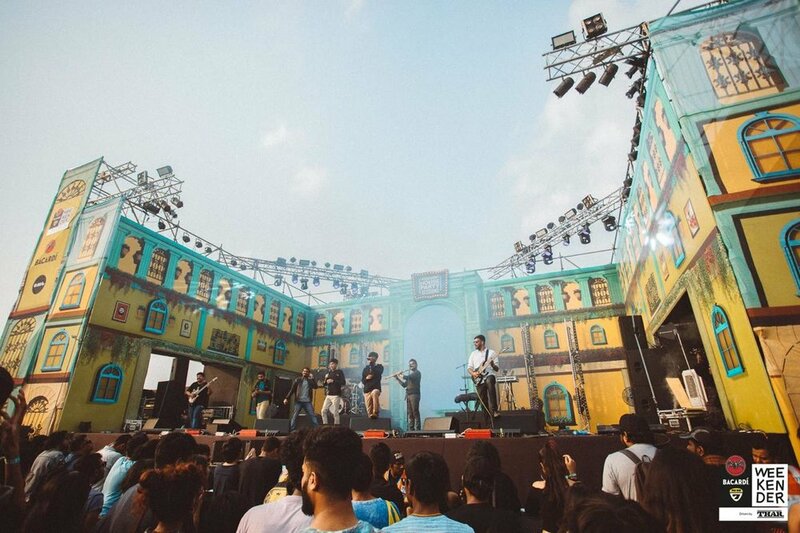 Subpar planning and logistics had led to loads of technical hiccups, the piece de resistance of which was the fact that the PA was way too small to be heard by the typically massive Utsav audience. A few hours and a few more phone calls later, we were able to organize an appropriate PA system for all the three bands to play through. The crowd, however, was another story, altogether. Attentive, energetic and responsive, they jumped and swayed and sang along with every song we could play in our shortened set, and ultimately made our evening, reminding us why we keep returning to a fest we proudly call one of our favourites. It's the 10th of March, 2018, and after years of hard work, our debut EP 'Uplift' is ready to be presented to the world.